Isatori Isa-Test help maximize Free testosterone levels, and reduce estrogen levels to optimize body composition. 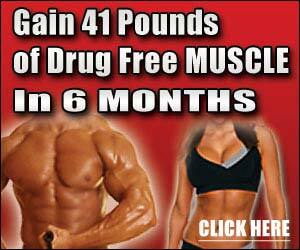 Isa-Test also can help increase muscle mass, strength, and sexual drive. I have tried many supplements and found nothing to really help my 52 year old body work harder and better at the gym - at least nothing that didnt keep me awake at night too. - Isa-Test worked straight away and I notice the difference in power every time when I train, no doubt about it. This is the one supplement that I will make sure I keep taking. I use this supplement along with a good, high protein diet. It helps strength and energy levels (not like a stimulant). It's also great for drive and male performance enhancement. 1-2 months on and a break of similar duration. Not a mass booster, the difference is in definition and hardness. Worth a try if your goals are related to healthy testosterone boost.